According the Irish tradition, Saint Patrick, having founded his first church, invited the Celts, who didn't believe in God, to convert them to Christianity, after several miracles, they began to believe. Druids viewed this with alarm and decided to invoke a troop of elves to bother Saint Patrick's followers. The new Catholic's group started to complain about elves behavior in the church, so Saint Patrick, decided to face them with the following words : "In the name of God I expel all impure spirits," in that moment elves left the place. 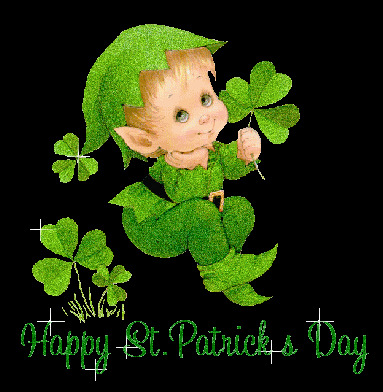 Below you will find a selection of Elves or Lucky Leprechauns's images, perfect for Saint Patrick's Day. 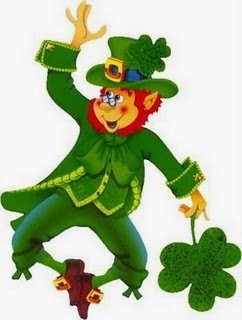 Lucky Leprechaun or Saint Patrick's Elf dancing with a shamrock in the hand. Lucky Leprechaun or Saint Patrick's Elf drinking beer. Lucky Leprechaun or Saint Patrick's Elf with a full pot of gold. Lucky Leprechaun or Saint Patrick's Elf on the rainbow. A serious Lucky Leprechaun or Saint Patrick's Elf. A happy Lucky Leprechaun or Saint Patrick's Elf. 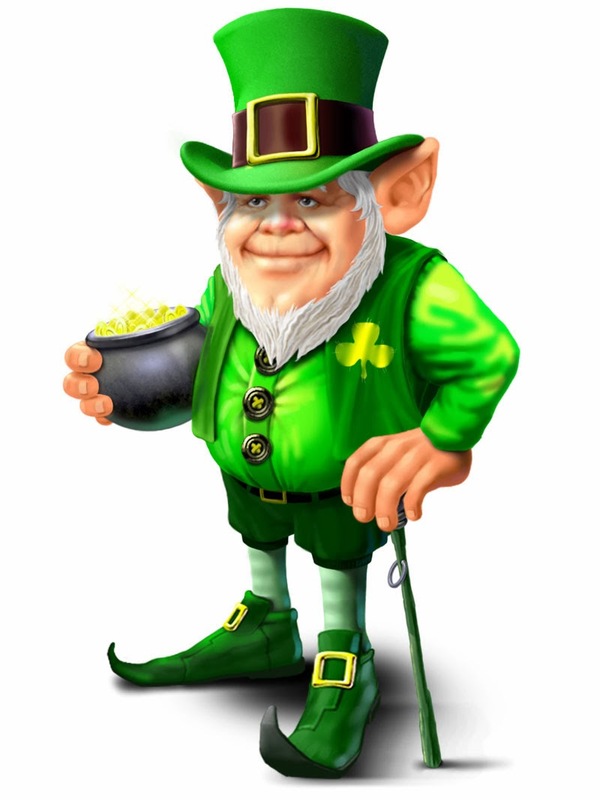 The same Lucky Leprechaun or Saint Patrick's Elf, with a glass of beer in a hand and a shamrock in the other one. 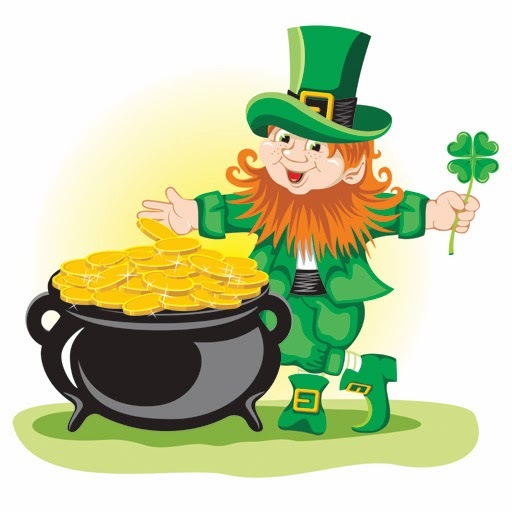 Lucky Leprechaun or Saint Patrick's Elf sitting on a pot of gold. 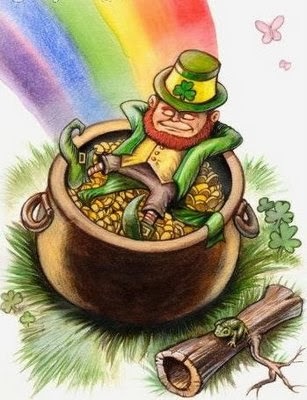 Lucky Leprechaun or Saint Patrick's Elf sleeping on a full pot of gold. 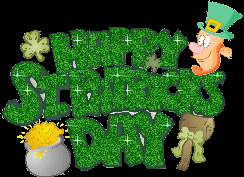 I hope you have enjoyed these Lucky Leprechauns's images perfect for you celebration on Saint Patrick's Day. 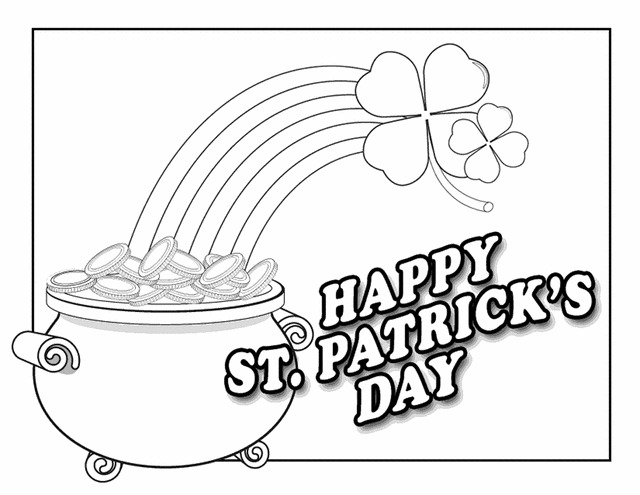 Happy Saint Patrick's Day for coloring with a full pot of gold and some shamrock. Happy Saint Patrick's Day for coloring with a frame with shamrocks. 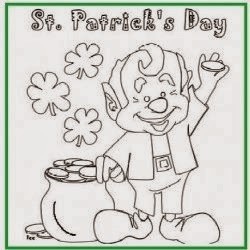 Happy Saint Patrick's Day for coloring with an elf next to a pot of gold. Happy Saint Patrick's Day for coloring with an original person. 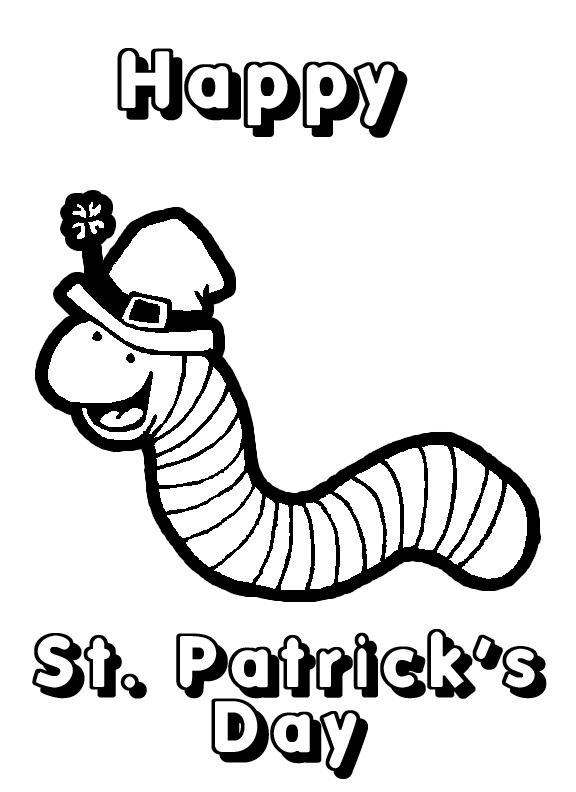 Happy Saint Patrick's Day for coloring with a caterpillar wearing a hat. Happy Saint Patrick's Day for coloring with a tender face. Happy Saint Patrick's Day for coloring with a boy with shamrocks. 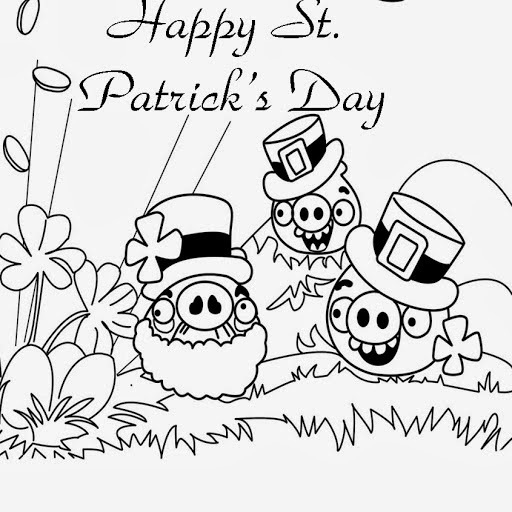 Happy Saint Patrick's Day for coloring with pigs of angry birds. 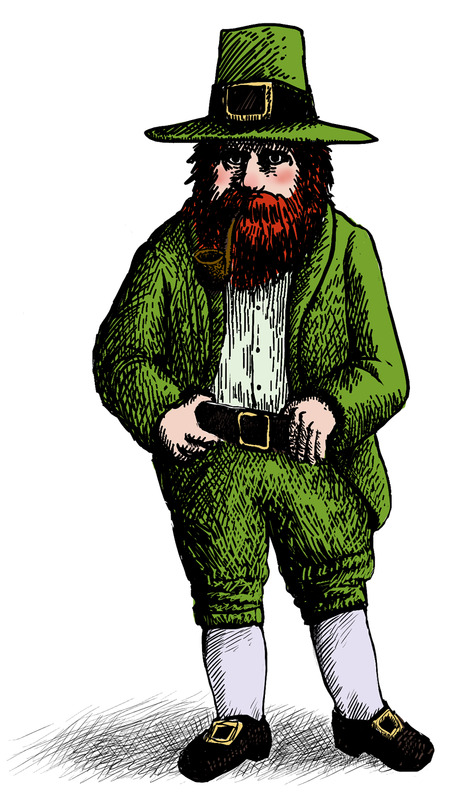 Happy Saint Patrick's Day for coloring with a lucky leprechaun. 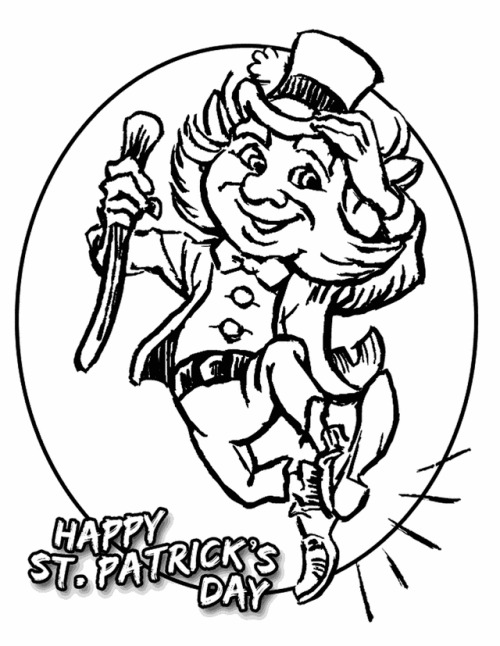 I hope you have enjoyed these images with the phrase Happy Saint Patrick's Day for coloring. 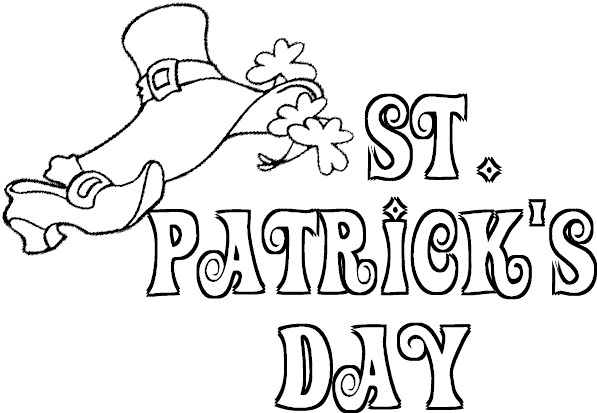 Saint Patrick's Day is an important religious and traditional celebration, this is celebrated by every body, including kids, for that reason it's a good idea to entertain them with some activities, they love, and that are related with this date. 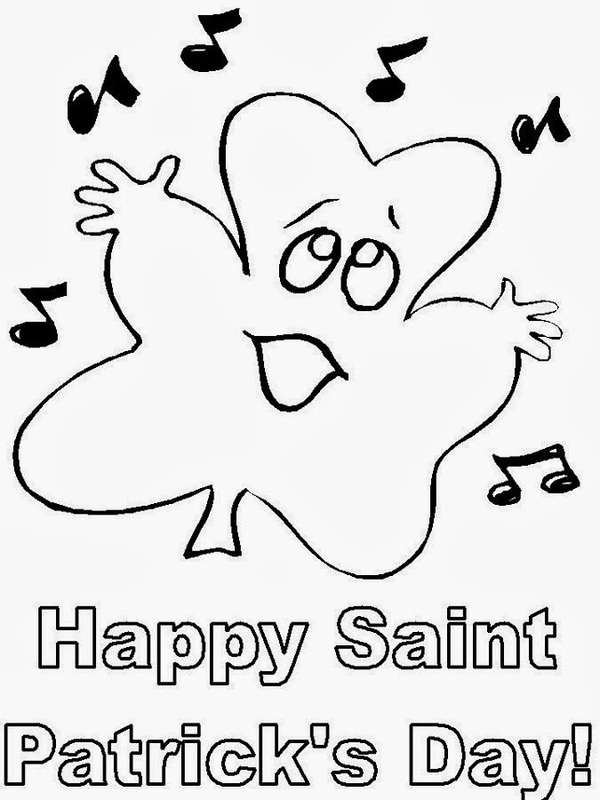 Below you will find a group of drawings for coloring with the phrase: Happy Saint Patrick's Day, I'm sure you and they will like them. 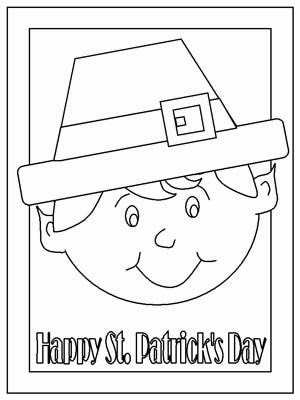 Happy Saint Patrick's Day for coloring with a shamrock with a hat. 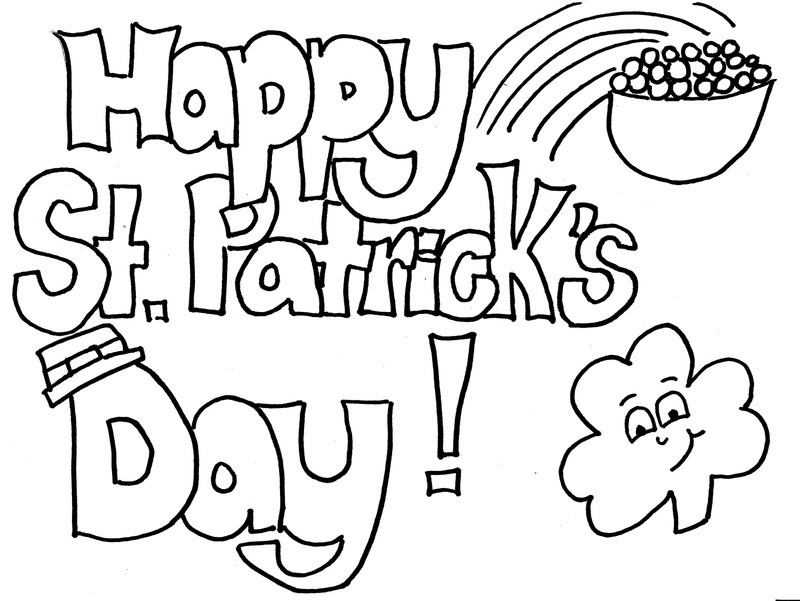 Happy Saint Patrick's Day for coloring with a hat, a shoe and some shamrock. 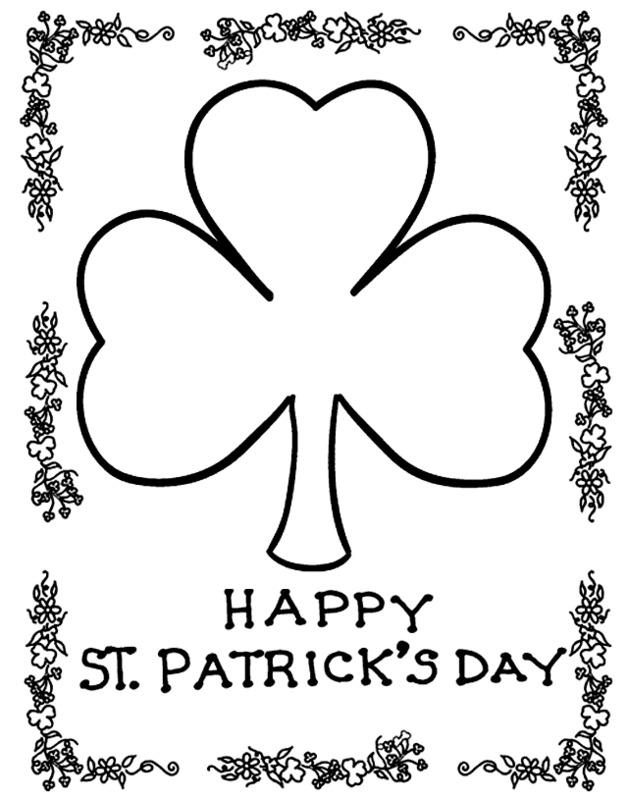 Happy Saint Patrick's Day for coloring with a shamrock and musical notes. 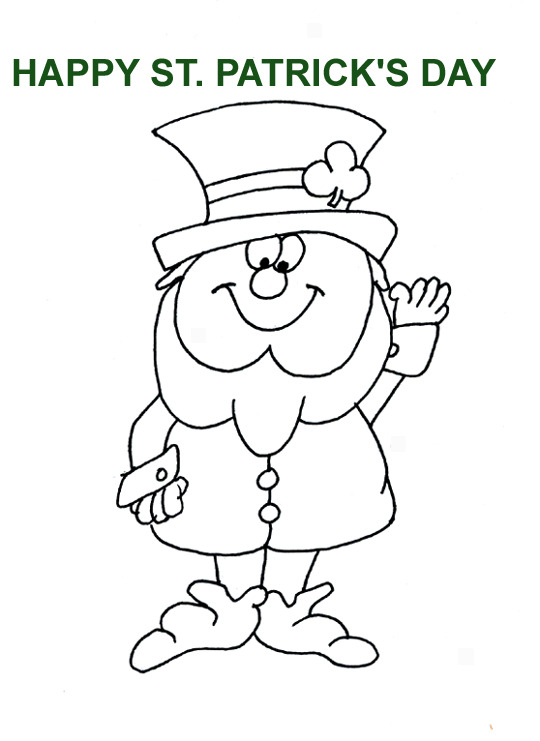 Happy Saint Patrick's Day for coloring with a Lucky Leprechaun saying hello. 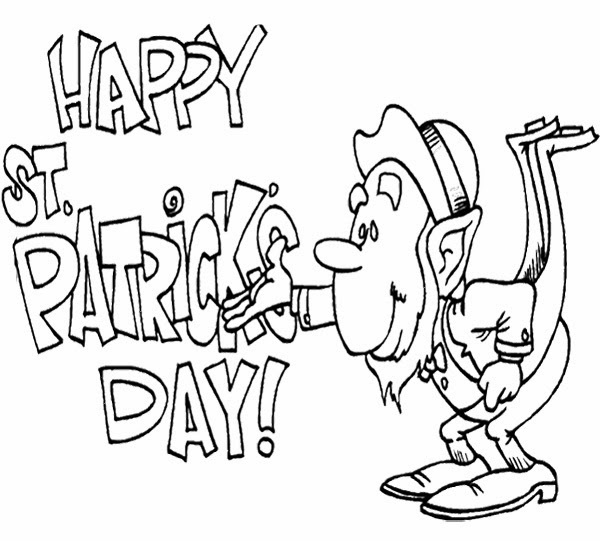 Happy Saint Patrick's Day for coloring with a big shamrock. 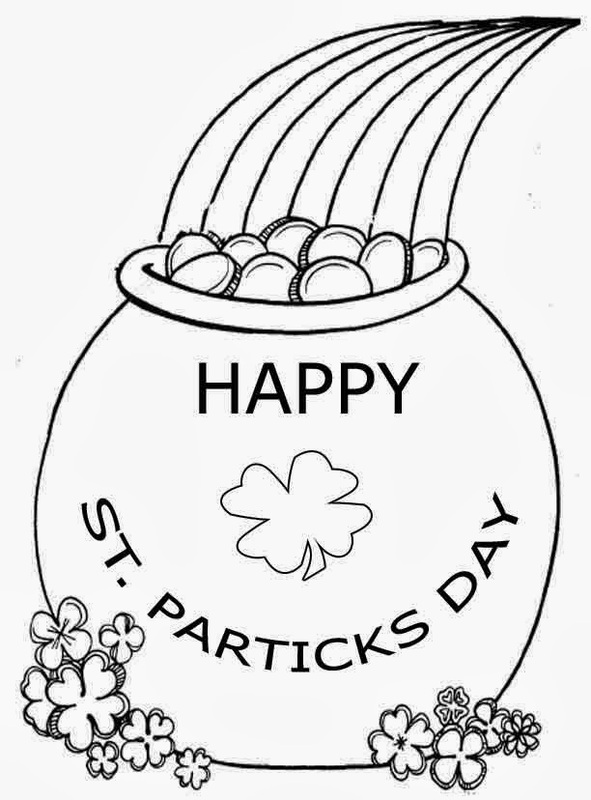 Happy Saint Patrick's Day for coloring with a shamrock and a pot of gold. 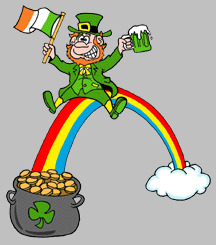 Happy Saint Patrick's Day for coloring with a full pot of gold. Happy Saint Patrick's Day for coloring with shamrocks on the letters. Happy Saint Patrick's Day for coloring with a pot of gold. 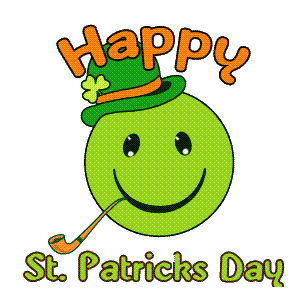 If you use to celebrate Saint Patrick's Day and want to share your happiness with your friends and family, it's a good idea to wish a happy day, with a card with animated images or animated gifs. 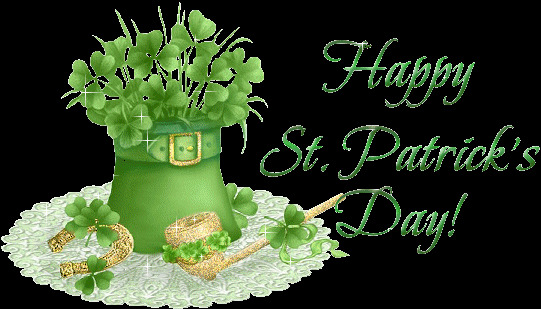 Below you will find an interesting selection of cards with the phrase: Happy Saint Patrick's Day and with animated images. Enjoy them. Happy Saint Patrick's Day with a green hat and shining flowers. Happy Saint Patrick's Day with a bear wearing a green sweater. Happy Saint Patrick's Day with three green cats. Happy Saint Patrick's Day with a green bear. Happy Saint Patrick's Day with a cat and shamrocks inside a hat. Happy Saint Patrick's Day with a dog wearing a green hat. Happy Saint Patrick's Day with the sleepy beauty. Happy Saint Patrick's Day with a bear and a shamrock. Happy Saint Patrick's Day with a shamrock and green stars. 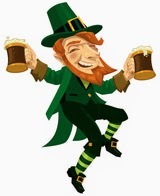 Happy Saint Patrick's Day with a funny message: I have a drinking problem!! Two hands and only one mouth!! 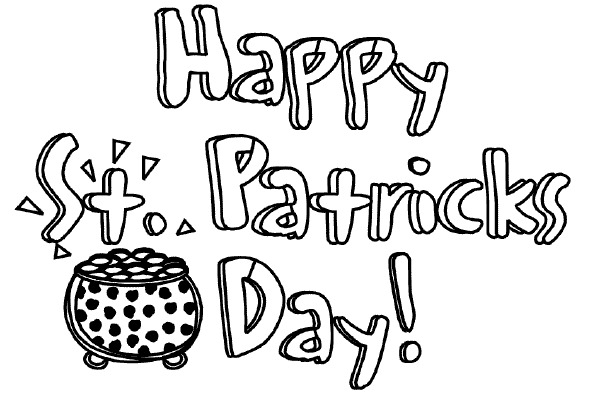 I hope you have enjoyed these cards to wish a Happy Saint Patrick's Day with animated gifs. 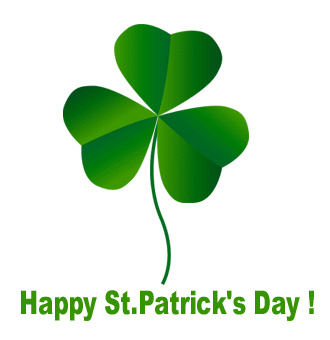 Saint Patrick's Day is one of the most important religious celebrations in many countries around the world, it remembers an Irish tradition and has some interesting characteristics, for example, the shamrock, that represents the Holy Trinity, the color green, the Lucky Leprechaun and some other ones. 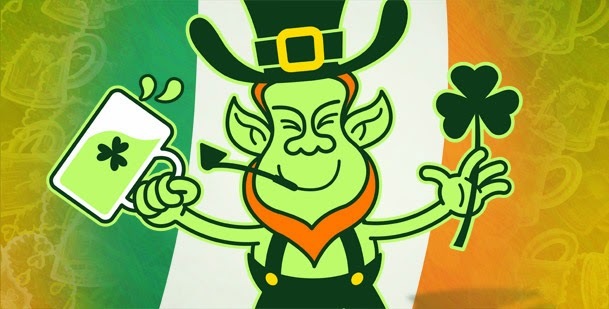 If you want to surprise your friends and family with a greeting for this Happy Saint Patrick's Day, below you will find a selection of cards and animated images or gifs, that you can use. Happy Saint Patrick's Day with a bear with a green hat, a shamrock and a pot of gold. Happy Saint Patrick's Day with Winnie the Pooh smelling a shamrock. Happy Saint Patrick's Day with a green rose and some shamrocks. Happy Saint Patrick's Day with a shining Care Bear. Happy Saint Patrick's Day with a couple of Lucky Leprechauns. Happy Saint Patrick's Day with shamrocks. 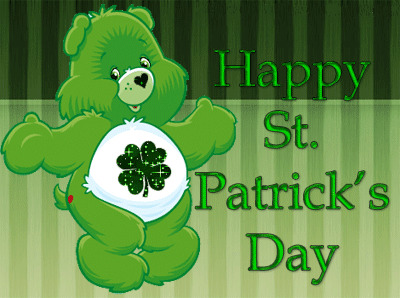 Happy Saint Patrick's Day with a bear holding a smaller one that is wearing a green hat. Happy Saint Patrick's Day with a Lucky Leprechaun holding some shamrocks. 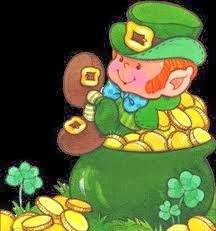 Happy Saint Patrick's Day with a fairy with green wings and with coins of gold on the hands. Happy Saint Patrick's Day with a shamrock and a couple of pipes. I hope you have enjoyed these cards to wish a Happy Saint Patrick's Day. On March 17th is celebrated one of the most important religious festivities in many countries around the world, it is Saint Patrick's Day. 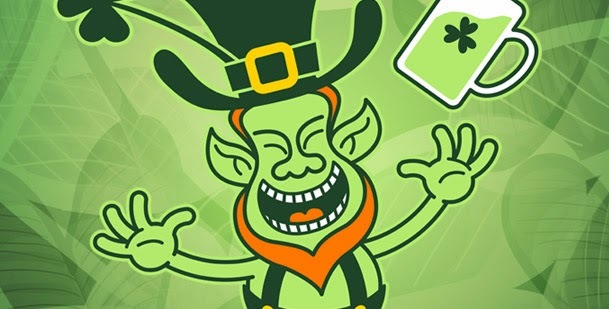 If you want to share your happiness or wish a Happy Saint Patrick's Day, you just have to choose one of the cards we present below, all of them have animated images. 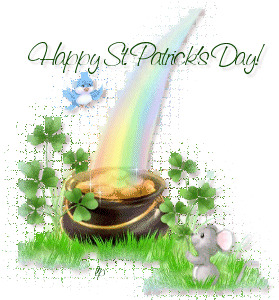 Happy Saint Patrick's Day with a rainbow, shamrocks and a full pot of shining gold. Happy Saint Patrick's Day with a shamrock that turns. Happy Saint Patrick's Day with shining letters. 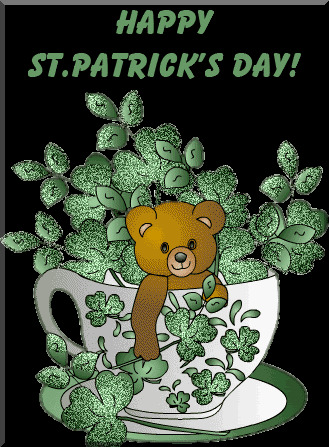 Happy Saint Patrick's Day with a bear inside a cup with shining shamrocks. Happy Saint Patrick's Day with a shining elf holding shamrocks. Happy Saint Patrick's Day with letters that change of colors. Happy Saint Patrick's Day with a shamrock and flashes. Happy Saint Patrick's Day with a Care Bear. Happy Saint Patrick's Day with a hat with shamrocks and flashes. 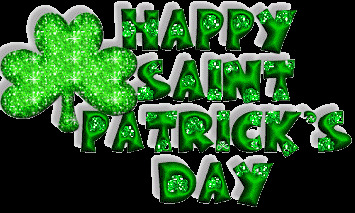 I hope you have enjoyed these cards of Happy Saint Patrick's Day.